Financial aid is available for students ages 18 or younger who demonstrate financial need. Need-based scholarship applications for spring activities must be submitted by January 5. 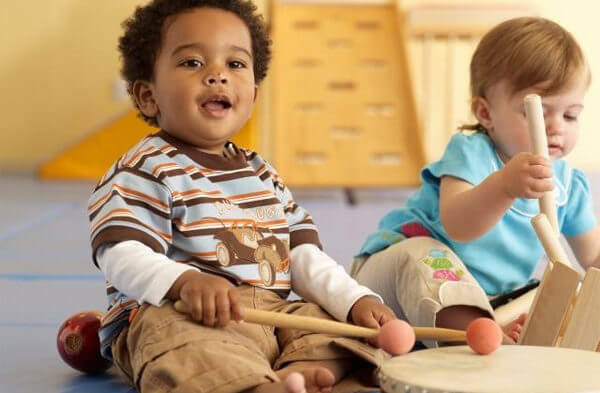 There are two group music classes for young children. Prelude is for toddlers ages 1–3 with singing, dancing and games, which will be held on Saturdays from 10 – 10:30 a.m. The Development class is for children ages 3–5 and builds upon the activities of the Prelude class. Development is offered on Saturdays from 10:35 – 11:05 a.m. Early registration is recommended for these popular classes that begin on Jan. 14, 2017, and meet for 12 weeks. Art Express is an arts and crafts class for students aged 4-12. Classes are organized by age and limited in size. This class is offered over six Saturdays, from 1-3 p.m., beginning on Feb. 4. For older children and adults, CSA offers Group Guitar for Kids, which introduces children ages 8–12 to guitar. This class is on Wednesdays from 6–6:55 p.m. starting on Feb. 1. For students ages 13-adult, Guitar Basics meets Thursdays from 6–6:55 p.m. and Intermediate Guitar meets Thursdays from 7–7:55 p.m., for 12 weeks, beginning on Feb. 2. Square One Piano: Group Basics Class is from 6:15–7:00 p.m. for beginning students and Piano Forte: Building Piano Skills is from 7:15–8:00 p.m. for intermediate players. Both classes are for ages 13-adult. These classes are on Mondays, starting Jan. 30. In Qi Gong (or Chi-Kung), a precursor of Tai Chi, students learn 24 postures to renew energy and release tension. This class is for ages 12–adult, meeting on six Mondays from 5–6 p.m., starting Jan. 23. Music performing ensembles are also available next year with the CSA Symphonette, for string players ages 8 – 16 on Tuesdays from 4:30 – 6:00 p.m. starting on Jan. 31. CSA Sinfonia, a full youth orchestra for musicians age 14 – 20, meets on Wednesdays beginning Jan. 18. Please call to ask about openings in this audition-only ensemble. The CSA Chamber Music Intensive is for ages 12–20. Call 815-753-1450 for more information or to arrange an audition for your ensemble. The NIUkulele Ensemble is for beginning and intermediate ukulele players age 9–adult. Everyone must have an instrument. This ensemble is on Mondays from 7:30 – 8:25 p.m., beginning Jan. 23. CSA Steelband is for ages 12–adult. It is recommended that students be able to read music. This ensemble meets on Mondays from 6:30 – 7:25 p.m., beginning on Jan. 23. And finally, the CSA Guitar Ensemble for beginning and intermediate guitar players ages 14-adult, will meet on Thursdays, from 8-8:55 p.m., beginning Feb. 9. Traditional private music lessons are taught on a weekly basis on all instruments. Music lessons for young children using the Suzuki approach are taught on violin, cello, piano and guitar. Lessons begin the week of Jan. 16. The NIU Community School of the Arts is sponsored by the College of Visual and Performing Arts. More information, including scholarship application forms and activities registration forms, can be found online, by calling 815-753-1450 or by visiting the Community School office in Music Building Room 132.